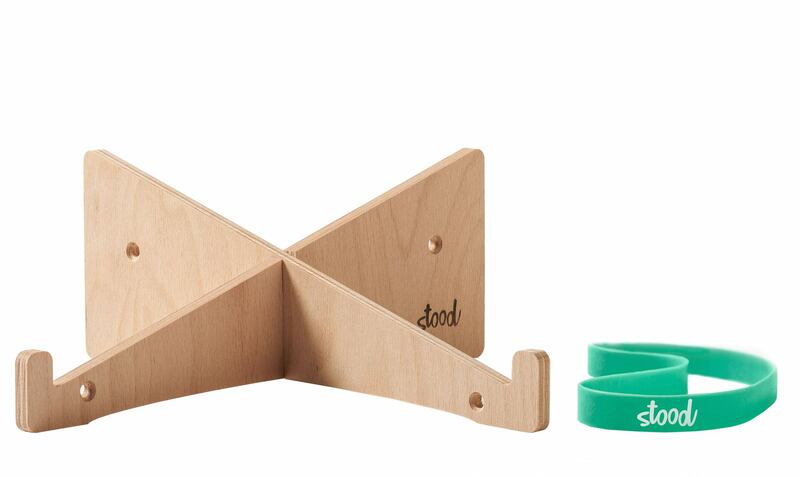 Promotional merchandising can be useful and eco-friendly. It doesn’t need explanation. This is a very cool present. Pens? Hats? T-shirts? Bags? USB drives? It wouldn’t be bad to surprise your customers and co-workers with a useful gift that can really help them to keep their “work companion” for a little longer. Laptop Stands are actually made for that. They help fighting overheating and accidental liquid spills, so that our laptops can leave a little longer! Who needs another boring pen in the digital era, anyway? 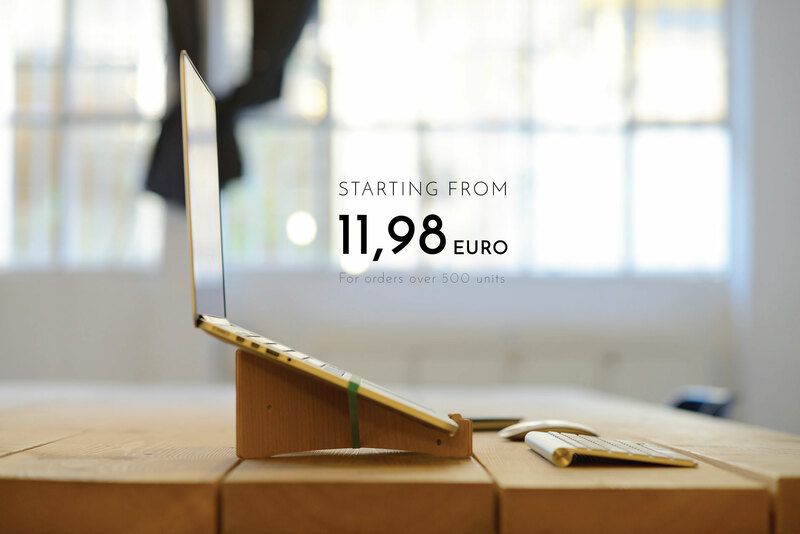 We take care of branding, packaging and shipping for you…starting from 11,98 €/unit. Custom requests are not a problem. Sometimes it’s about an additional sticker, a funny quote, an extra postcard or a special wish. We care about delivering exactly what you want, and we’ll be happy to help you create your own custom package. Our production is human powered, which means: hand-made (in Italy). We use a CNC machine to cut European beech plywood, which we later refine and polish…manually! 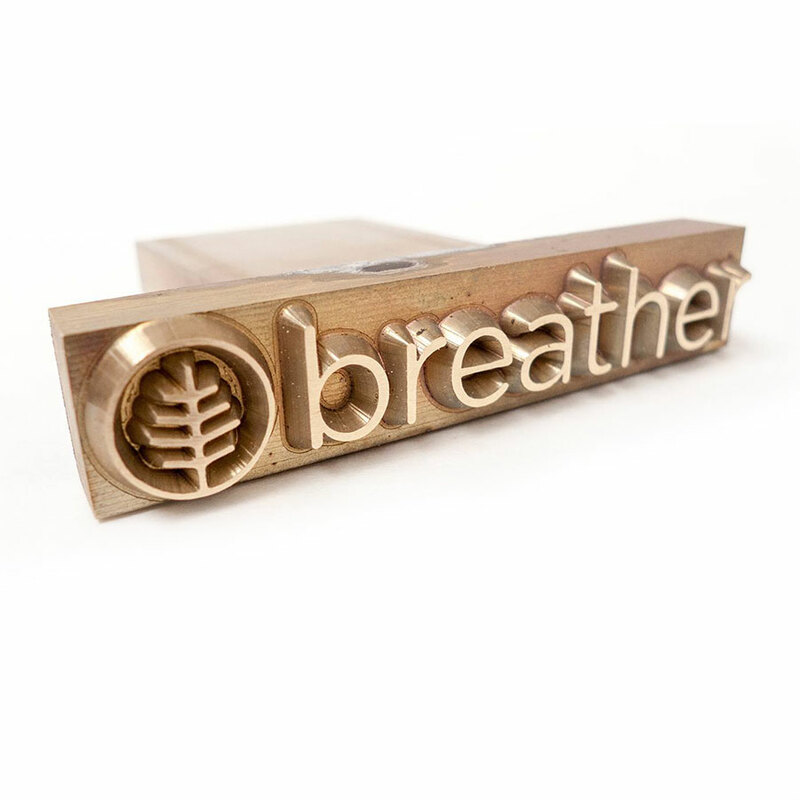 Also our brass stamps, used to burn wood and packaging are custom made by Italian artisans. Created, customised and delivered within 15 days. 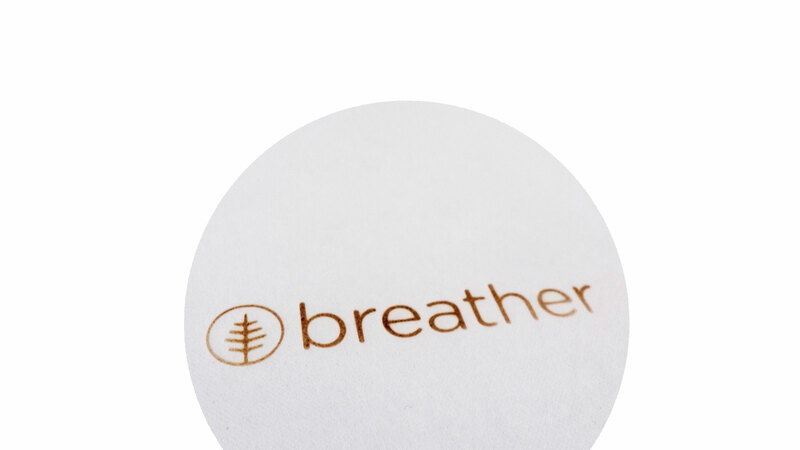 Breather contacted us to create customises laptop stands for their customers, to give them away during events organised in Toronto, Chicago, Washington DC, Montreal and Los Angeles. We worked on a tight schedule with breather’s Marketing team to customise, package and deliver our products in 5 different locations in North America. We can ship worldwide in 1-to-3 business days. Packaging is a simple white cardboard envelope. It’s FSC certified and ready to be shipped without extra-waste. We can customise it with simple stickers, or we can heat stamp it for you. In the picture: the “burned effect” done for breather.com. Here you can see our B2B general offer (Download PDF). Offers change depending on many factors, if you want to know more about prices and services, we’d love to talk to you to find the solution that best suit your needs.